'Light field' photography camera maker Lytro has launched a new professional rig for VR video capture. Lytro has been known to for its cameras that can capture the entire depth of field, allowing photographers to choose the focal point of an image after it has been captured, rather than deciding on the focal depth before taking the picture. A very niche camera, more for photography buffs or as a novelty camera, it seems a natural evolution for Lytro to head into the realm of VR, which requires video capture that can capture everything in detail to be explored later. In fact, Lytro has already added VR headset support for still images captured by Lytro cameras. 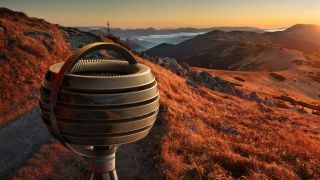 Aptly named Lytro Immerge, the company's new VR systems includes a camera rig for VR video capture, as well as a server for storage and processing, and editing platform and a playback platform that can work on different VR headsets. But unlike other VR video capture rigs, video captured by Lytro's VR camera will allow you to move around it from certain spaces, not just look around a 360-degree video from a stationary point. Lytro is heavily leveraging its 'light field' technology for its VR rig, with the company saying that the Immerge captures what it calls 'Light Field Volume', or very detailed depth of field information. This basically allows virtual views "to be generated from any point, facing any direction, with any field of view," which has previously been possible with CG only, like in a video game or animation. It also allows the ability to add CG more easily to the depth of field information. "VR is the next wave in cinematic content, and immersive storytellers have been seeking technology that allows them to fully realize their creative vision," said Jason Rosenthal, CEO of Lytro. "We believe the power of Light Field will help VR creators deliver on the promise of this new medium." And with Lytro Immerge playback available on different VR headsets, we're looking forward to what filmmakers will be creating for us to explore.